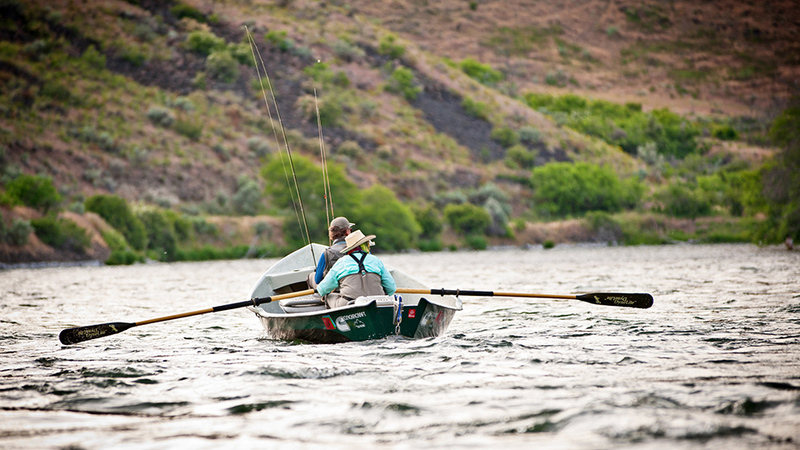 Founded in 2008, River Runner Outfitters is a Bend-based fly fishing guide service that leads trout and steelhead fly fishing trips on the beautiful Lower Deschutes River. Their staff is passionate about what they do, and they love instilling and deepening the appreciation for fly fishing in anglers of all ages. Set out with them on a multi-day drift boat camping trip for trout, or book a drift and jet boat camping trip in pursuit of steelhead. If your time is short, River Run Outfitters is happy to offer daily float trips out of Bend and Maupin. This is a year round fishing tour company and when the winter waters in Central Oregon are inhospitable, they move to steelhead spey fishing on the rivers of Oregon’s North coast. Whatever excursion you choose, you will be led by a small team of guides who are keen anglers and patient teachers who know just where to go and have a deep respect for wild things and wild places. Visit them online to learn more and to book a trip that is sure to provide you with some great stories and lasting memories.